Burglars broke into a home through a kitchen door and stole a number of items. 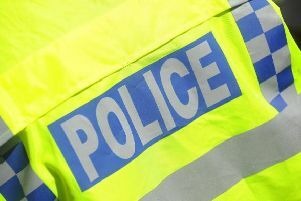 Jewellery, a television and a Samsung Galaxy Gear smart watch were some of the items stolen during the burglary in Spencer Road, Long Buckby, which happened on Monday, March 28 between 4.30pm and 6.30pm. Offender/s entered through the back garden and forced their way in through the rear kitchen door. Witnesses, or anyone with information, are asked to contact Northamptonshire Police on 101. Alternatively, they can call the independent charity Crimestoppers anonymously on 0800 555 111 or use the anonymous online form at www.crimestoppers-uk.org.